For those Lamborghini fans, here's why the Italian company dropped the Huracan's 'LP610-4' designation for its new EVO variant. It has been some time since Lamborghini has been using this three part naming order whereby LP stands for Longitudinale Posteriore (the engine's position in the car - Longitudinal Rear - in english), the three-digit number (the car's power output) and the last digital (the number of driven wheels). So shouldn't the new EVO also have a LP640-4 in its full model name too? Well, it seems like the company realised that no one really uses the alphanumeric part of the name and dropped this naming designation for its new Huracan EVO. 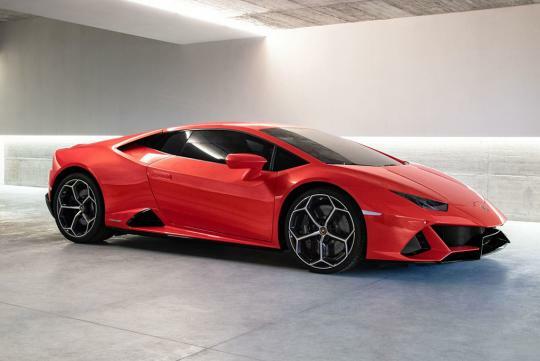 As seen in Carscoops, Lamborghini Chief Technical Officer Maurizio Reggiani said that naming the facelifted Huracan the ‘EVO’ is easier for consumers to understand and better from a branding perspective. It is also obvious that 'EVO' is less of a mouthful than ‘Huracan LP640-4’ or something similar. Similarly, it is safe to guess that the latest extreme Aventador, the SVJ, doesn’t have an alphanumeric designation either for the same reasons.